1. Pinch of salt and pepper. 5. Mint leafs -roughly chopped. – Blend the red chilli, garlic, basil, lemon grass purée unto its transform to paste.You can either use an electric blender or the pestle and mortar. – Dry the whole fish by using the kitchen towel. – Stuff the paste mixture inside the fish, then lay 3 slices of lemon on top of the stuffing. – Seasons both sides by salt and pepper. – Wrap the fish with the foil paper.Make sure that you close the edge tightly. – Put the fish in the oven and cook for 20 minutes. – Whilst waiting for the fish to be cook. Mix the red chilli, coconut sugar,honey,garlic,fish sauce, rapeseed oil, squeeze the juice from 1/2 lemon, pinch of salt . Lastly add mint leaves. – Take the fish out of the oven after 20 minutes. Turn the oven up to 250 Celsius. 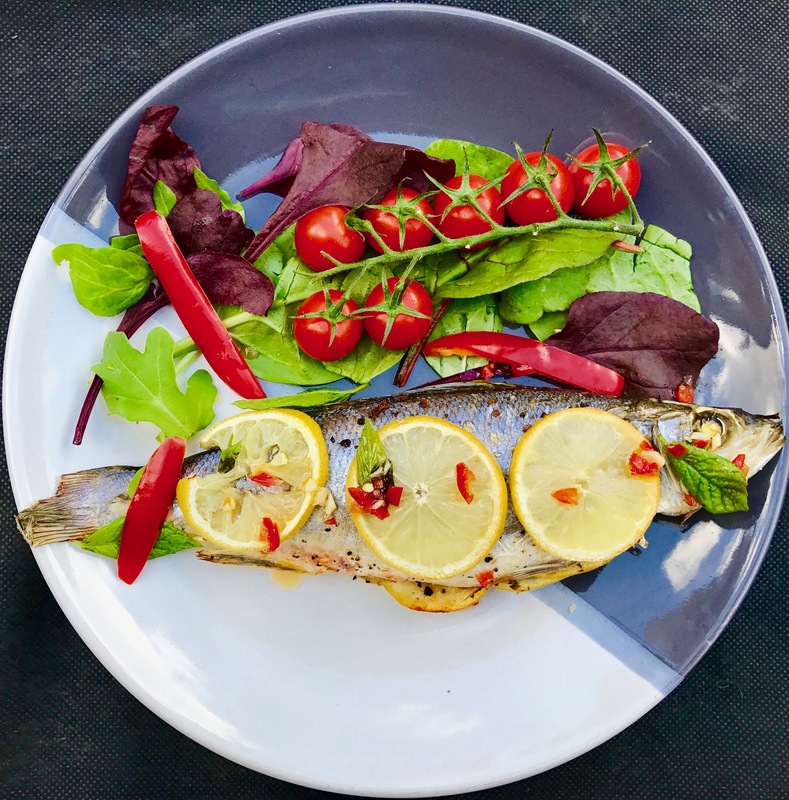 Open the foil parcel and lay the lemon slices on top of the fish. – Drizzle 1 table spoon of sauce mixture on the fish. Put the fish back into the oven and cook for further 10 minutes. ( leave the foil parcel open). 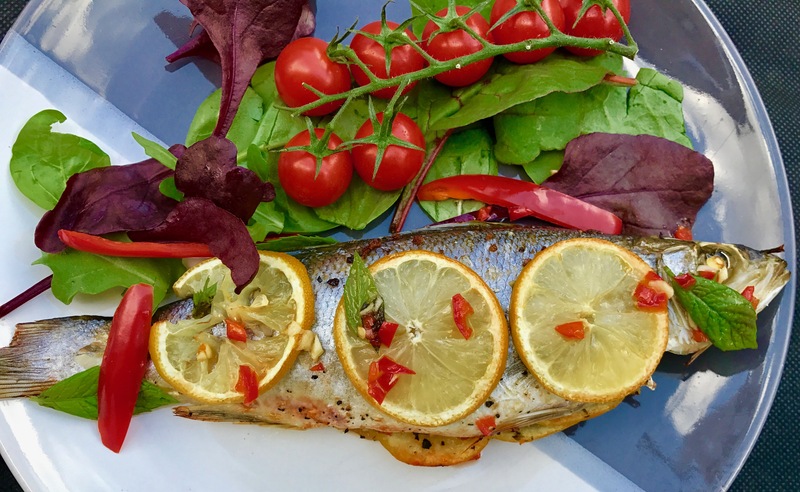 – Take Aromatic Baked Sea bass out of the oven then garnish with some more mint leafs. -Please try to get the fresh fish for this Aromatic Baked Sea bass recipe. -Also ask your fishmonger to scale and gut the fish for you.